Flights Wine Cafe is a wine bar located in Morrison, Colorado. They feature over 100 wines with over 35 available daily by the glass. Great beers from all over the world & a nice Light Eats menu to compliment your beverage of choice. 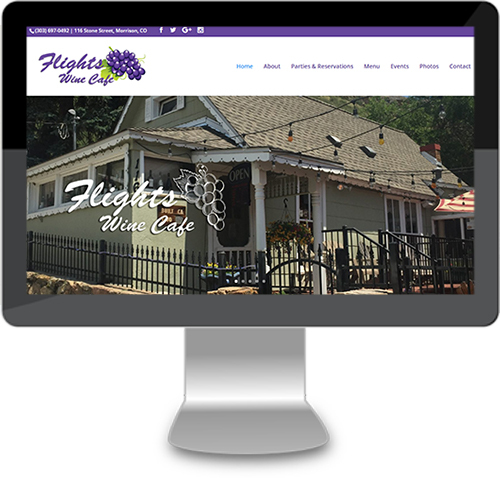 For Flights Wine Cafe, we customized the WordPress Divi Theme to match their desired website design.